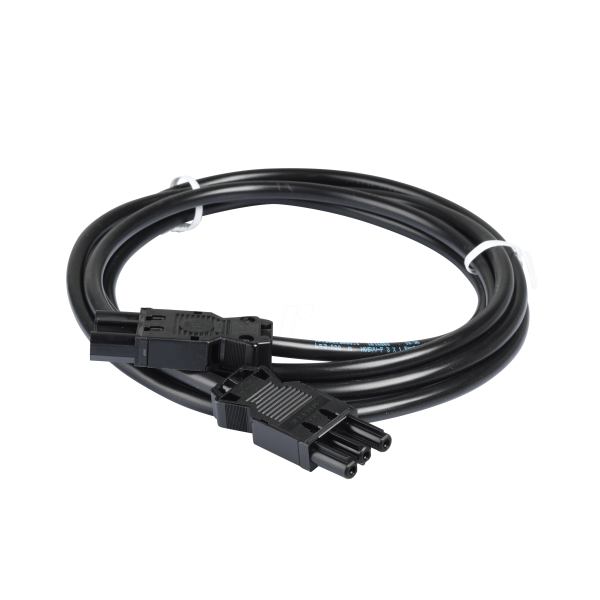 Power extension cable for connection to OE Electric Socket Units fitted with the Wieland GST18 power connector. Supplied as cable mounted plug to cable mounted socket in either black or white and stock lengths of 0.3M, 0.5M, 1M, 1.5M, 2m, 2.5M, 3M, 3.5M, 4M, 5M & 6M. There are no further specifications for this product. There are no further details for installation or fixing of this product. There are no further specific availability, ordering, delivery, or returns terms applicable to this product. Standard terms apply. At the time of publishing, this product is currently not available for rental. Our rental division is constantly adding new products and stock to its rental inventory, so please do feel free to chat with us to check the latest situation.